These high quality racing foot pegs are designed to mount to your stock peg mounts, giving you a more race look and feel. 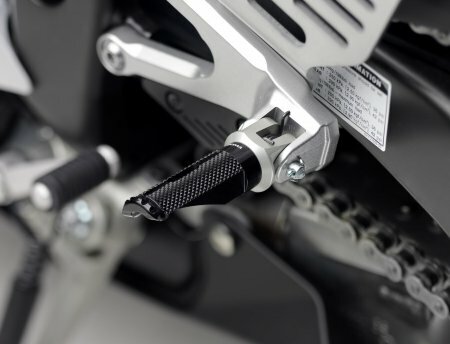 OEM Adapters are required for mounting to your OEM peg mounts. 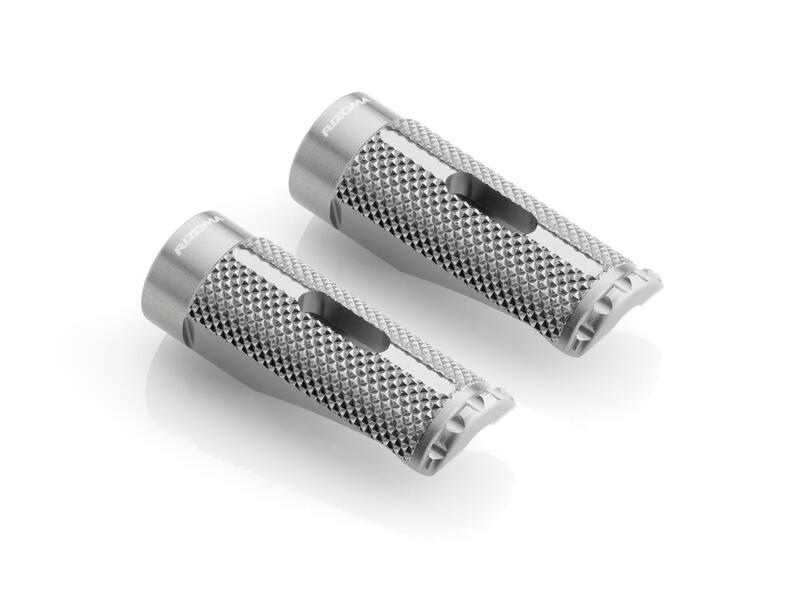 These racing footpegs will also work with the Rizoma folding peg adapters. 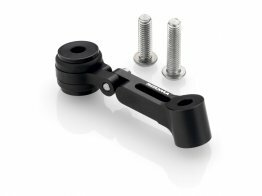 Note: These Rizoma "PRO" tapered pegs are intended to mount to your STOCK rearsets using Rizoma adapters (sold separately). Note: Pegs are sold in pairs. Note: Rizoma adapters are required for all models. View the Footpeg Adapter Chart. Are these universal? Will they fit on any bike? 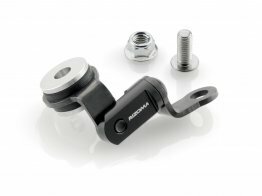 They pegs are stand alone pegs and wont fit to any motorcycle without the proper peg adapter set. Technically the pegs are universal, but will require Rizoma peg adapters to mate to your bike. Great, sleek look. Very much improved grip. 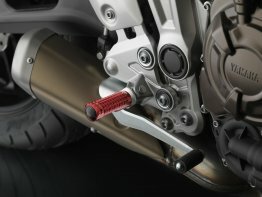 I was happy with these on my Street Triple R.